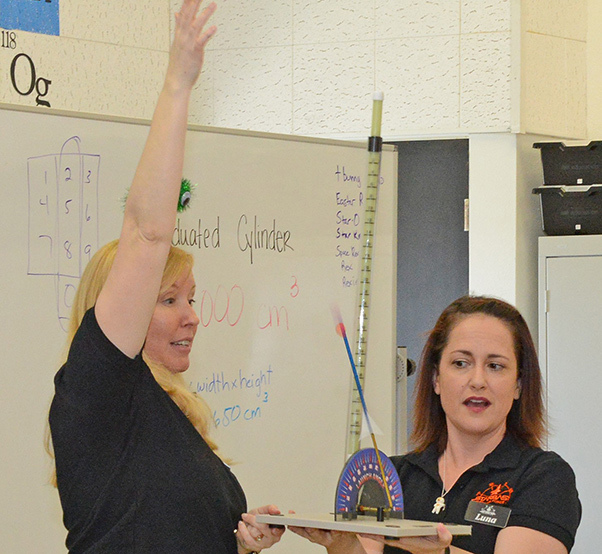 Janet Creech (left) and Caitlin Craig, STARBASE Instructional Systems specialists, launch a straw rocket on the first day of class for Edwards Air Force Base’s STARBASE program March 5, 2019. 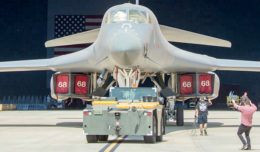 Edwards is one of nine active duty bases with an official STARBASE program. The STEM-based program familiarizes elementary students, primary fifth and sixth graders, from all backgrounds to the world of science, technology, engineering and mathematics. Edwards Air Force Base in California launched its first STARBASE class at Branch Elementary March 5, 2019. Janet Creech, STARBASE Instructional Systems specialist, shows a student how to calculate the volume of different boxes during the first day of STARBASE classes March 5, 2019. 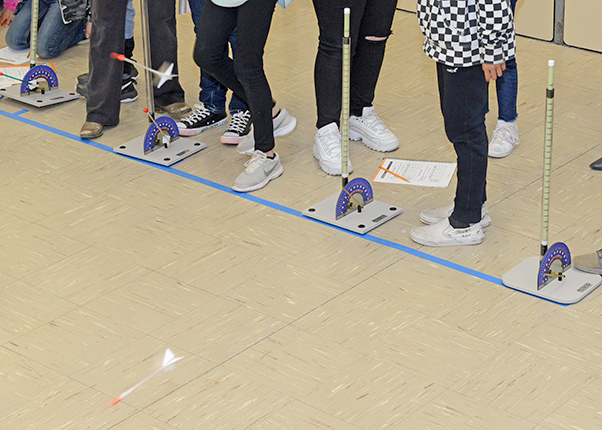 Fifth grade students from Branch Elementary School on Edwards Air Force Base, California, launch straw rockets to see Newton’s Laws of Motion in effect during the first day of STARBASE classes March 5, 2019. The Department of Defense’s STARBASE is a premier educational program sponsored by the Office of the Assistant Secretary of Defense for Reserve Affairs. At DOD STARBASE, students participate in challenging “hands-on, mind-on” activities in Science, Technology, Engineering, and Math, or STEM, according to the DOD. They interact with military personnel to explore careers and observe STEM applications in the “real world.” The program provides students with 25 hours of stimulating experiences at National Guard, Navy, Marine, Air Force Reserve, Army and Air Force bases across the nation. 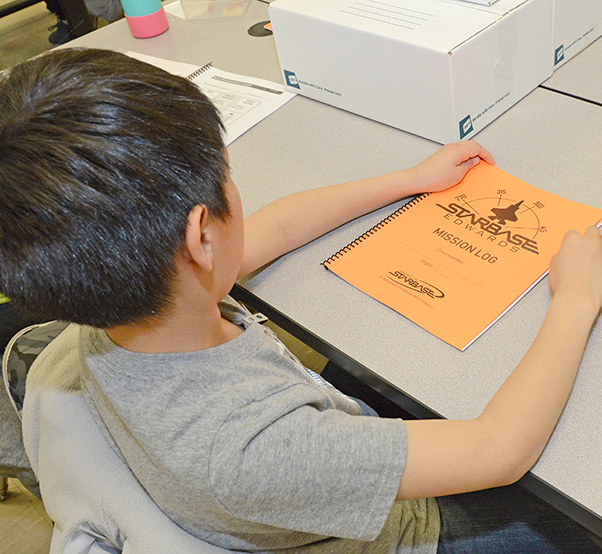 A fifth grade student sits with his STARBASE mission log on the first day of STARBASE class March 5, 2019. The mission log has learning activities for the students.